Many Australians go to chiropractors every year. Of this number, around one third are looking for relief from back pain. At Gladesville Chiropractic Care, our chiropractors adjust the spine by hand to promote appropriate positioning of the body’s musculoskeletal structure and enable the body to recover itself without surgery or medicine. Adjustments (specific joint manipulations) are utilised to restore normal movement patterns to joints limited by tissue injury. In some cases, tissue injury is caused by a distressing event such as falling, or more subtly by underlying stress and anxiety, even the mere act of sitting for long periods of time. Chiropractic adjustments not only affect the ‘hardware’ of the joints and muscles of the frame but also work to reprogram the ‘software’ of the control system – the brain and spinal cord. This is why chiropractic care can have such a profound effect on relieving pain and promoting healing throughout the whole body: in muscles, joints, bones, and connective tissues, such as cartilage, tendons, and ligaments. Your chiropractor is an expert in the diagnosis and management of spine-related disorders. A thorough history and examination establishes a clear diagnosis and may be complemented by the analysis of diagnostic imaging to identify the cause of your back pain. In addition to back pain relief, the goal of chiropractic care is the restoration of function and prevention of re-injury. Spinal adjustment and chiropractic care are a safe and efficient therapy choice for severe back pain. A sudden onset of severe pain can be very daunting. Accurate diagnosis is the key to providing the right early intervention to get you back on track as quickly as possible. Bed rest is not the answer. At Gladesville Chiropractic Care we have helped many men and women in the Gladesville-Hunters Hill region find relief and recover from lower back pain. Whether your low back pain is the result of a work-related injury, car accident, pregnancy, weight gain, or a long-standing issue, our experienced chiropractor will determine the right kind of treatment for you. Lower back pain can be debilitating, limiting your essential activities and the things you enjoy. 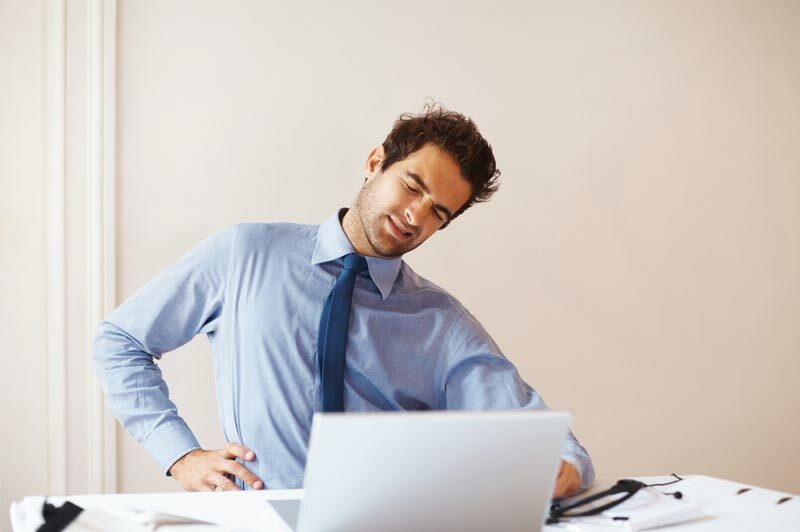 In its most mild form, lower back pain may cause you to tire faster at work. If your lower back pain is severe, however, your mobility may be compromised. By making adjustments to the joints of the spine, lower back pain can be relieved. In addition to providing pain relief for the lower back, chiropractic techniques have also been used to treat stiffness in the neck, as well as headaches. Lower back pain affects your physical and mental health because it interrupts your routine and prevents you from leading an active life. A timely consultation with our chiropractor will help your discomfort and get you moving and back into life again. At our chiropractic centre in Gladesville, we don’t just treat symptoms. Instead, we look at the whole person and find ways in which we can improve their overall wellness.